Would you like to learn some great tips to save on soapstone countertop costs in Maryland, Northern Virginia, Baltimore, Annapolis, Alexandria, Fairfax or the surrounding areas? On this page, we’ll look at how to make great soapstone counters affordable, no matter what your design aspirations might be. So keep reading to learn more, because the information you find here about soapstone countertop costs will save you money while still allowing you have a countertop that will turn heads. 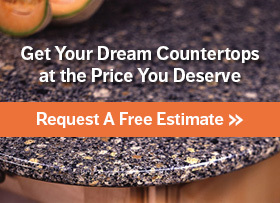 If you’d like to speak with a countertop expert about choosing the perfect countertop for your home, give us a call at 410-712-0601 or click here to request a fast, free estimate. The debate of soapstone vs. granite is one that many homeowners go through, with soapstone sometimes winning due to its stain resistant nature. Because of that, the material has been gaining in popularity and finding its way into homes across the country. 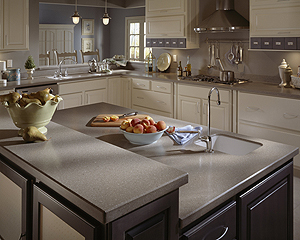 Pick Up the Remnants – With many different types of countertop materials, projects often leave behind excess material. In some cases, the excess is enough for another countertop. If you shop around, you can find these pieces at a discounted price so that get new counters for far less than what you would normally pay. Look for Older Styles – There are some styles of countertop that can’t be found anymore, and these discontinued styles can often be had for relatively low cost as sellers try to get rid of what stock they have left. With discontinued counters, your needs can be met with a hard to find style of countertop that even many other soapstone owners might not have. Shop Around – Whether you’re trying to save on soapstone countertop costs or anything else for your kitchen renovation, it’s always good advice to shop around for the best prices. In most cases, you can get an estimate, go somewhere else, and find someone who will do the same job for slightly less. It’s all about doing the work to find the best deal possible. Consider the Features of the Counter – There’s much more to your counters than the surface material; you need to consider things like color and edging style as well. In those cases, think about things like unusual colors and very basic edge styles. Following those paths could easily reduce pricing on your bathroom or kitchen countertop cost while still giving you beautiful new fixtures. Doing these things will allow you to have custom counters for your kitchens or bathrooms at a fraction of what you would normally pay, but the actual installation is something else you will need to think about to ensure the installation goes as smoothly as possible. Quality kitchen fixtures can only come from skilled contractors. When you want to save on soapstone countertop costs and beautify your kitchen, then the professionals of Express Countertops can help! As a company that has helped homeowners al throughout Maryland and Northern Virginia, we know that we can help you design the kitchen of your dreams! Our countertops come from brand name manufacturers and our contractors come with years of experience so that you don’t have to worry. Get in touch with us today by dialing 410-712-0601 or clicking here to reach us online. The question of “how much do soapstone countertops cost” is far too broad to answer without knowing you’re situation but, when you call us, we can tell you all about the per square foot cost and what you can expect from our service. Don’t delay! Once you talk to us about how you can save on soapstone countertop costs, you’ll have new counters in your kitchen or bathroom before you know it with our 1-Week Installation Guarantee.